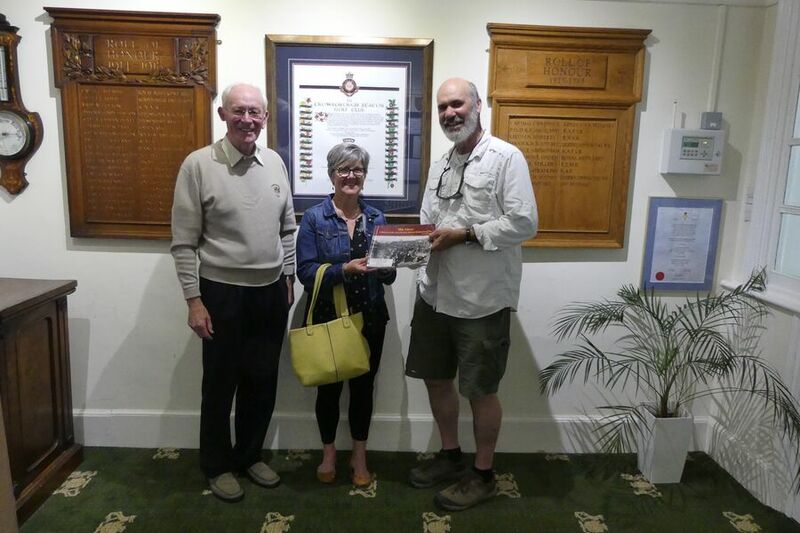 Geoffrey Hayes and his Wife Donna called in at the golf club in June 2018 to see the Memorial and spend time in the clubs house. Geoffrey is the author of the book on the history of the Lincoln and Welland Regiment and duly signed our copy in the hall. His Uncle appears in the front cover picture. 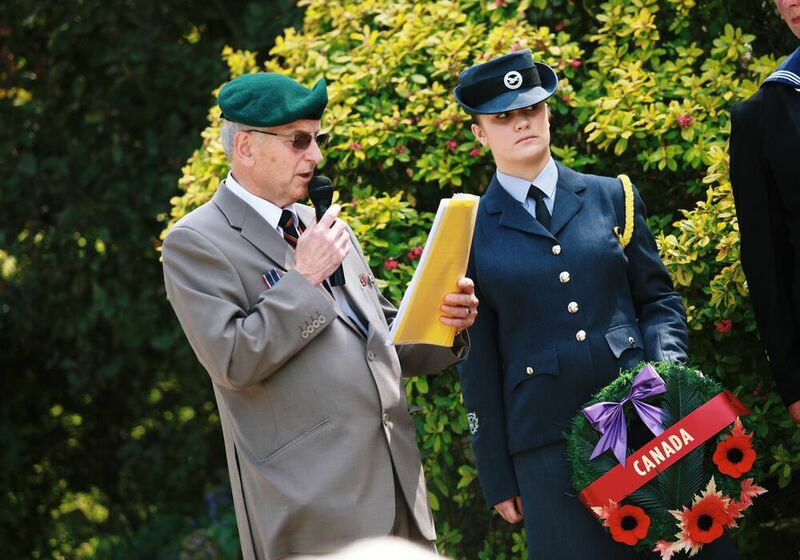 Geoffrey is an Associate Professor with the University of Waterloo, Ontario and had been leading a party of students on War visitations in France. 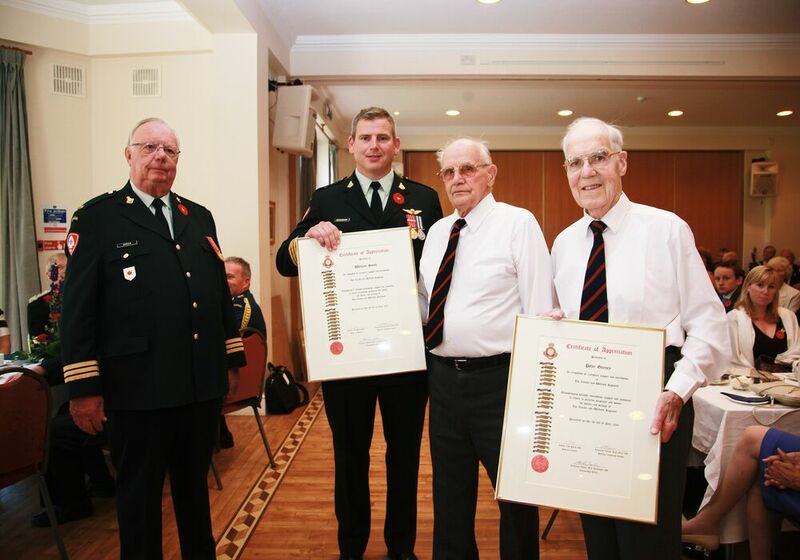 The accompanying picture shows Graham Midmer an Hon Member of the Regiment in front of the Clubs Citation with the Hayes. 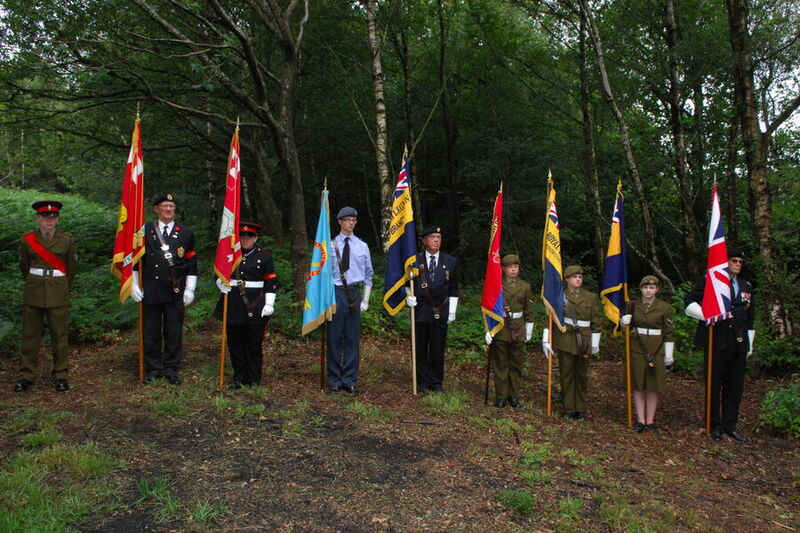 A special Service of Commemoration was held on 5th July 2014 to mark the 70th Anniversary of the death of nine soldiers of the Lincoln and Welland Regiment from Ontario, Canada killed when a Doodlebug came down on their camp on Crowborough Common. 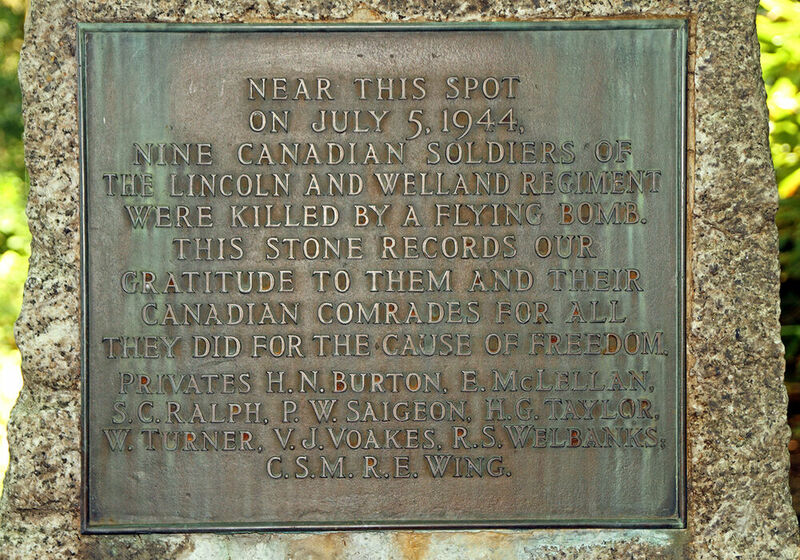 Held at the actual Memorial on the Golf Course by specific request of Bill Smith who was one of the Canadian Soldiers there at the time. 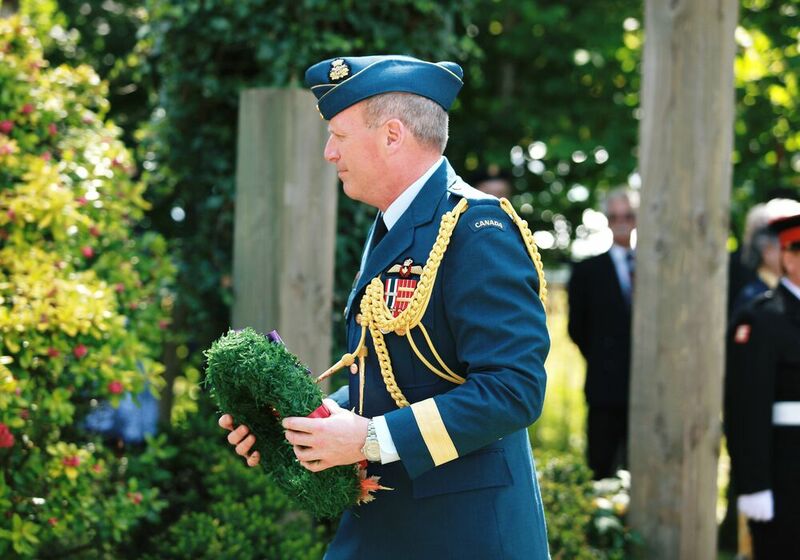 Also attending were Chris Rhys-Jones on behalf of his daughter the Regiment’s Colonel-in-Chief, HRH The Princess Edward, Countess of Wessex; Lt.Col Jean Trudel representing the Canadian High Commissioner; Lt.Col Jeff Cairns for the Regiment; Ron Reed Crowborough Town Mayor; and Fifteen Canadians, eleven of whom were direct descendants of those named on the Memorial. 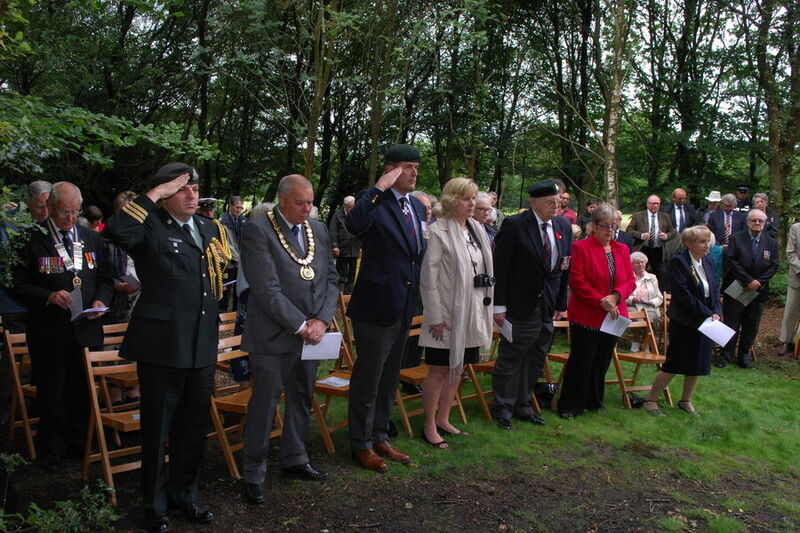 Some 100 other guests and local dignitaries attended. 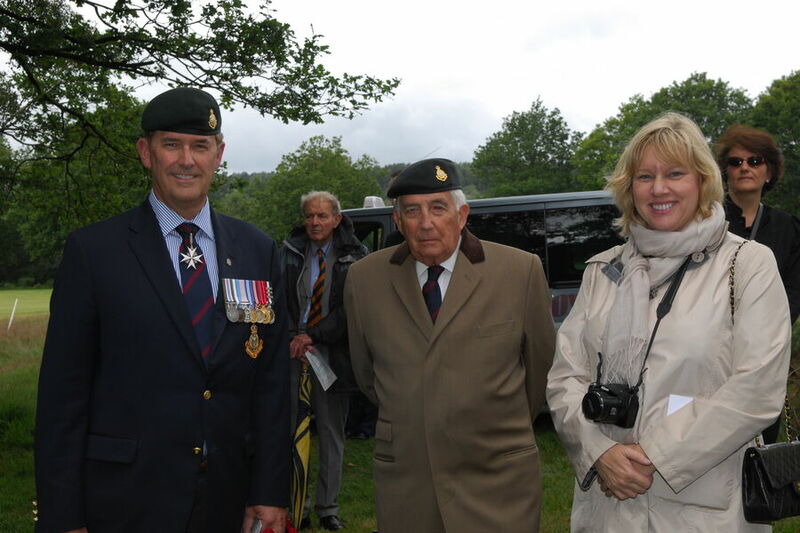 The event was organised by David Harris of the British Legion and Graham Midmer from Crowborough Beacon Golf Club, both of whom are Honorary Members of the Regiment. 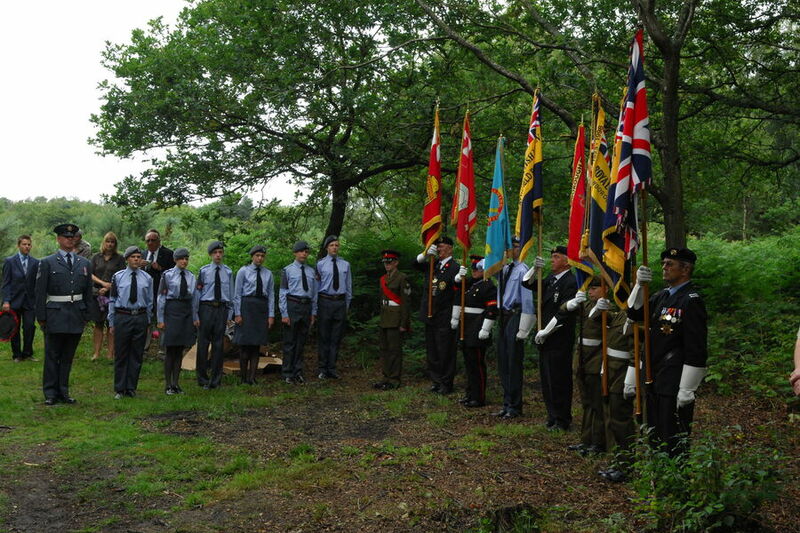 Guards of Honour were provided by the local Army Cadet and Air Training Cadet Force. The service was conducted by Canon Cornes and Rev Weaver. 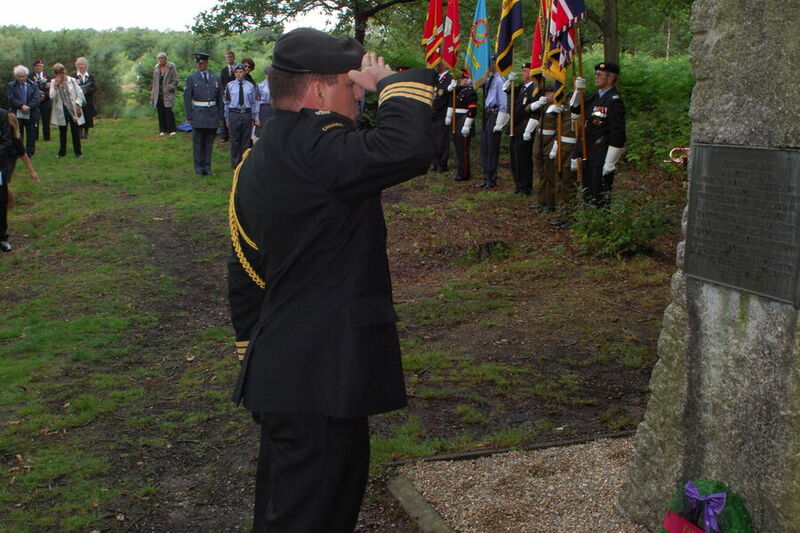 Michael Beesley of the local Scouts group played the Last Post and The Reveille. 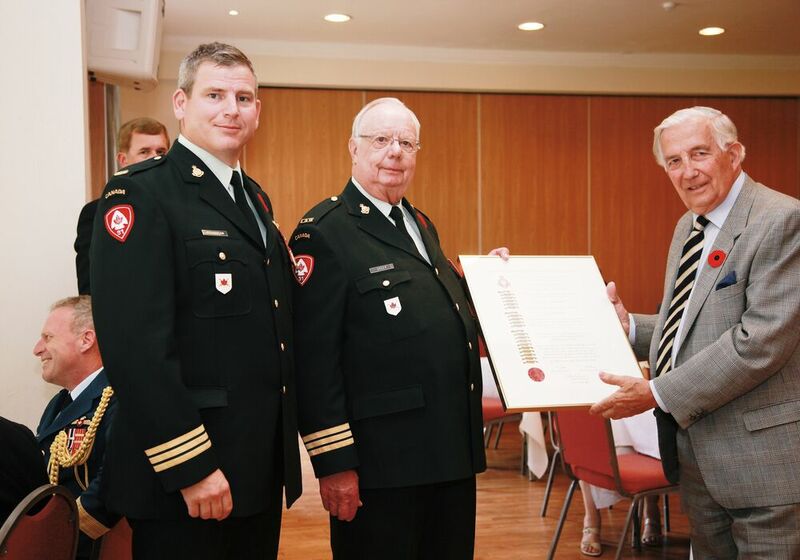 Following the Service a Reception was held at the Golf Club during which nine citations were presented. 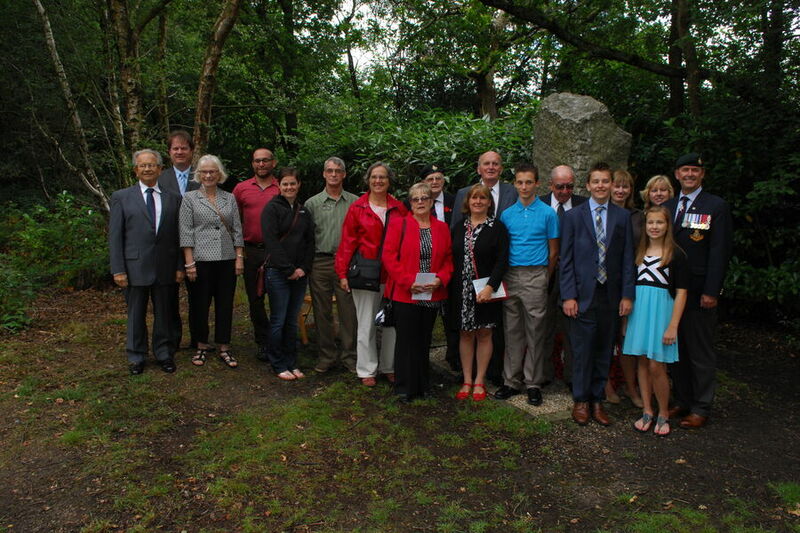 Moving tributes were made by the Relatives of those who lost their lives. 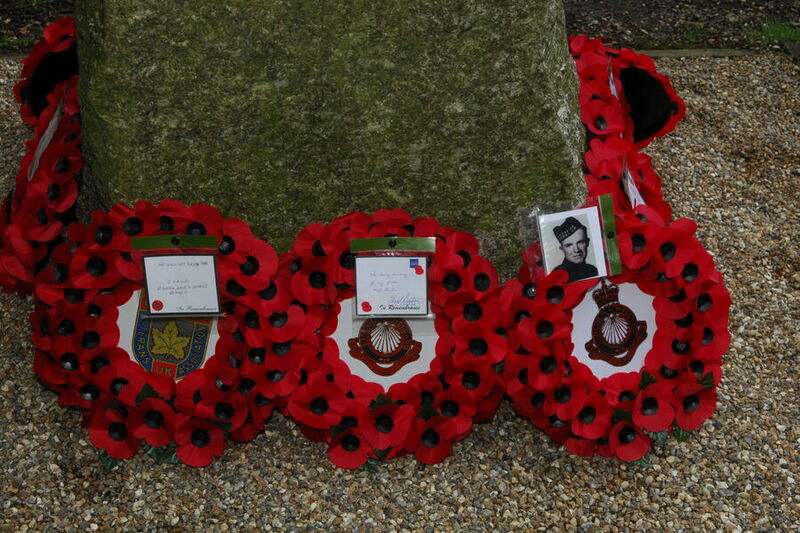 The following photos record moments from the service. 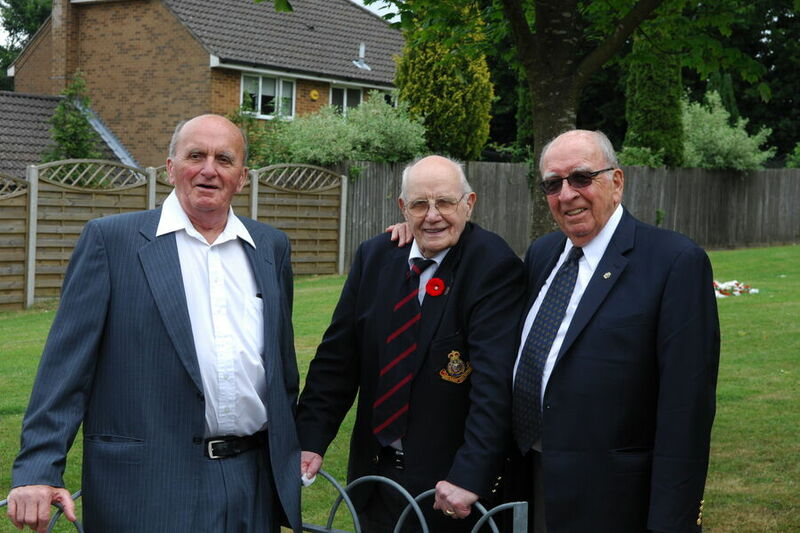 Following mobilisation for active service in June 1940 The 1st Battalion of the Lincoln and Welland Regiment arrived in Britain in July 1943. 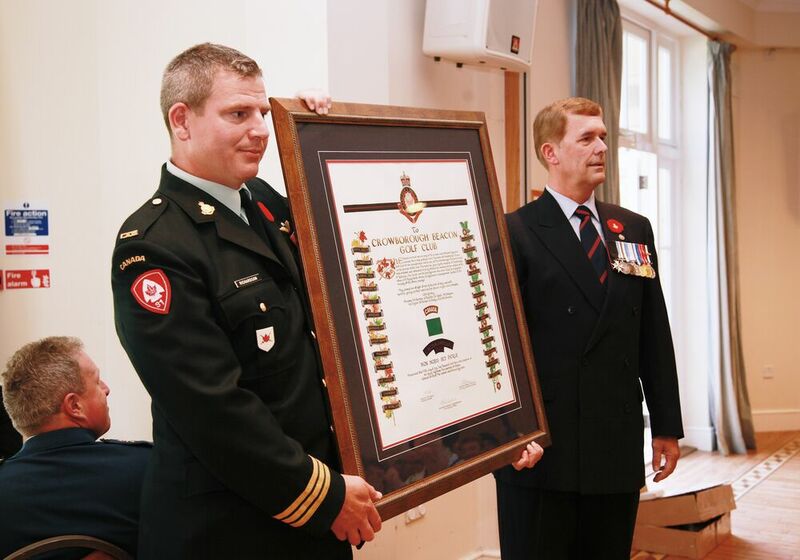 The Regiment became part of the 10th Canadian Infantry Brigade of the 4th Canadian Armoured Division. 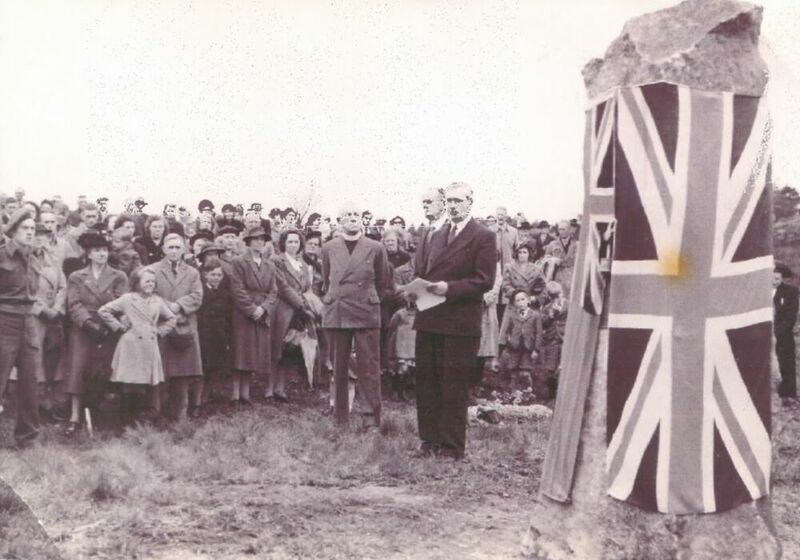 A Series of training exercises took place around the United Kingdom culminating in the Division being encamped under canvas on Crowborough Beacon Golf Club awaiting the order to invade France. 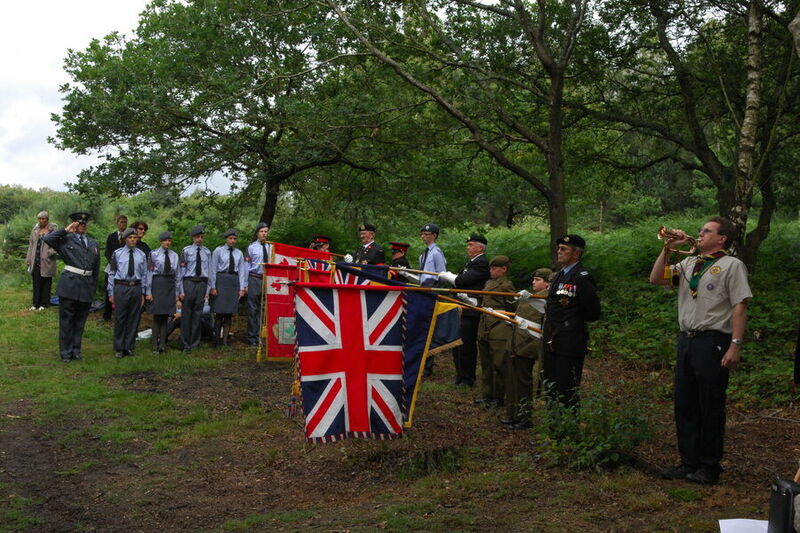 The Division was to have landed in France on 28th June 1944 (D Day +22) but was delayed and this was to prove costly to the Regiment. 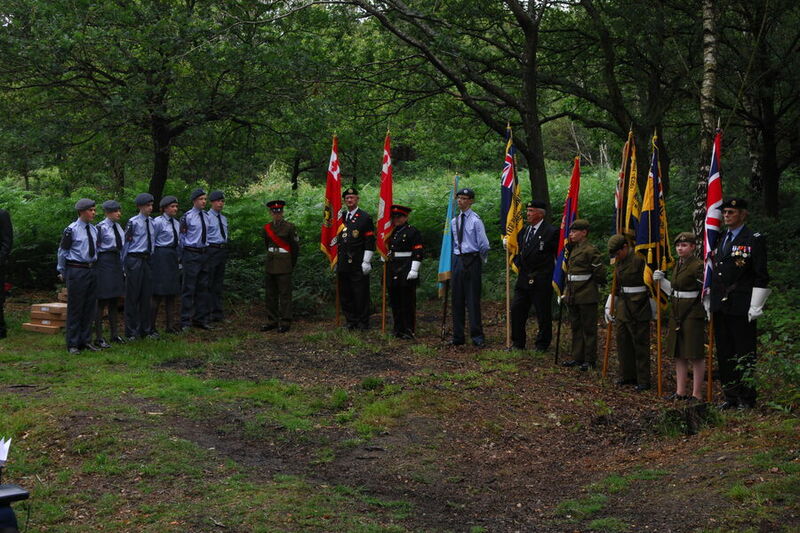 On the 5th July a V1 came down on the camp kitchen killing nine soldiers. 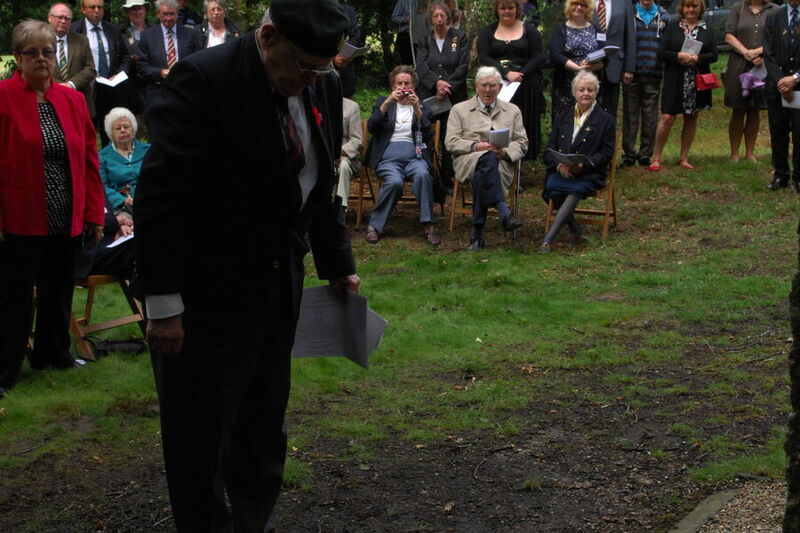 Bill Smith, then a soldier with the Regiment, was visiting his girlfriend in Rotherfield at the time and remembers the sad occurrence too well. 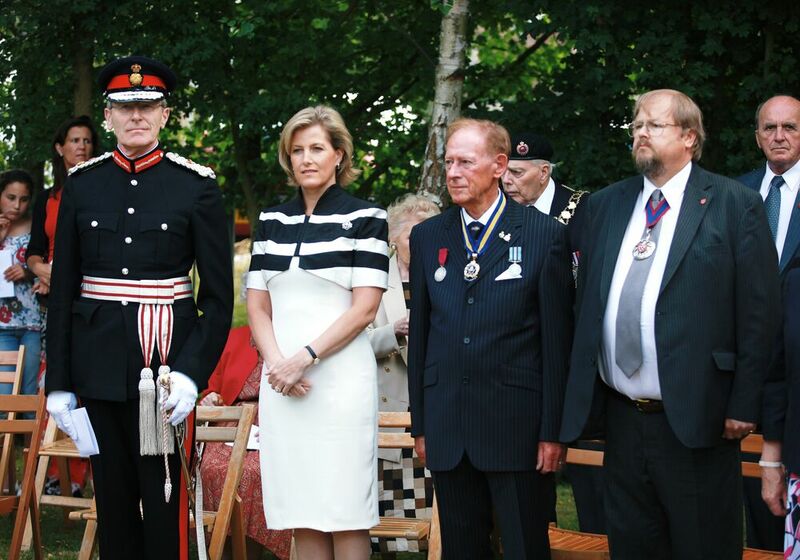 After the War he married that same girl, and they have lived in Crowborough ever since and have been at the forefront of the Regiment’s association with the Town since that ill-fated day. 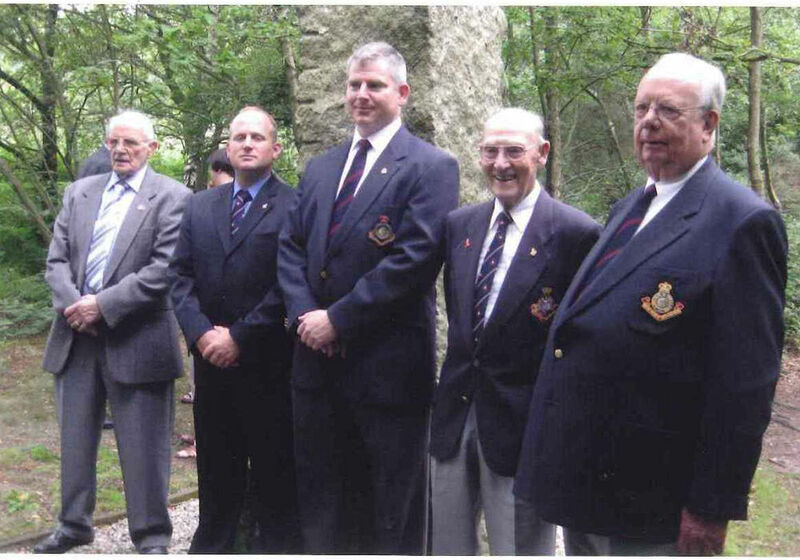 Bill is now a widower and over coffee in February 2013 recalled the shock of a policeman knocking on his girlfriend’s parents home summoning him back to camp. At the time the Canadians had commandeered many of the large houses in the area including Windlesham Manor and Dewlands. They used the gentlemens locker room at the golf club as a briefing room. The golf course trees provided cover for the many tanks hidden pending the invasion. 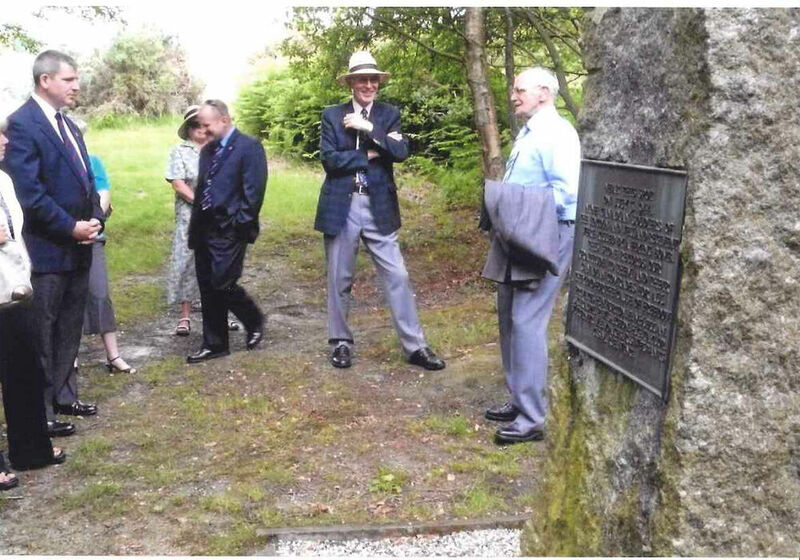 What is now the Horder Centre was an encampment for the Canadian Grenadier Guards and where tank and transport repairs took place. 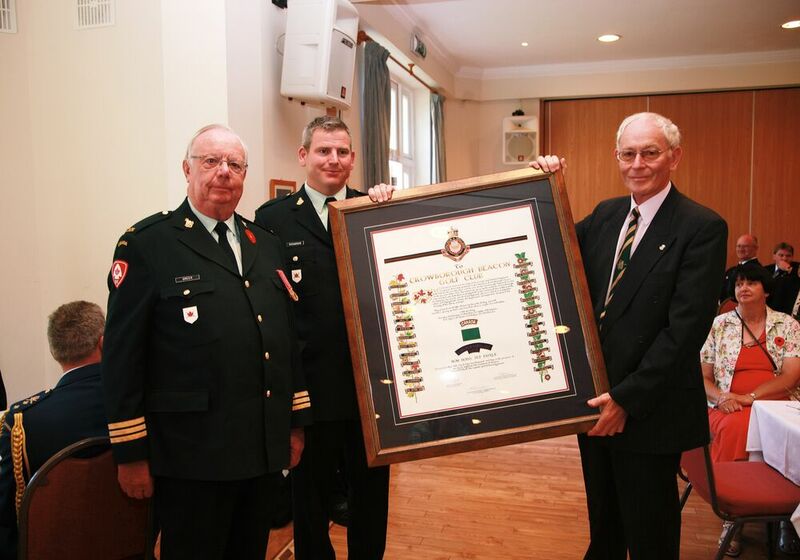 The Guards donated a picture to St.John’s in the Woods church, which is still there. 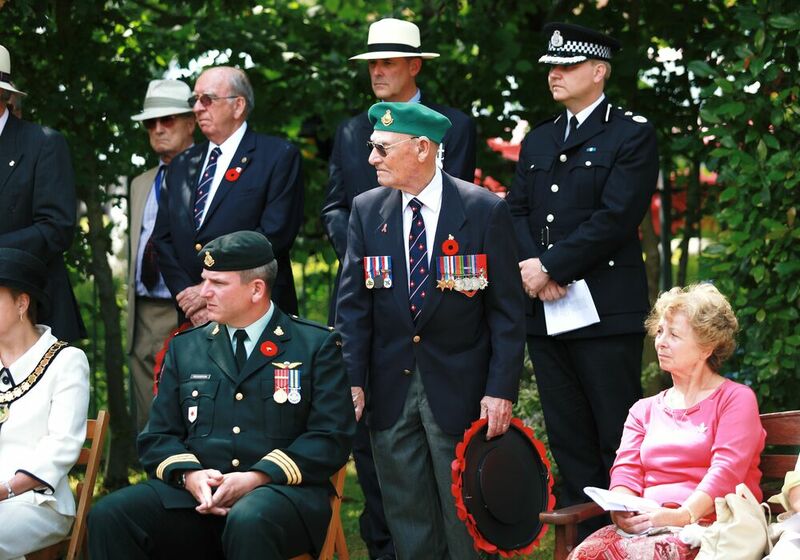 Bill subsequently sailed from Tilbury to the Juno beach landing. 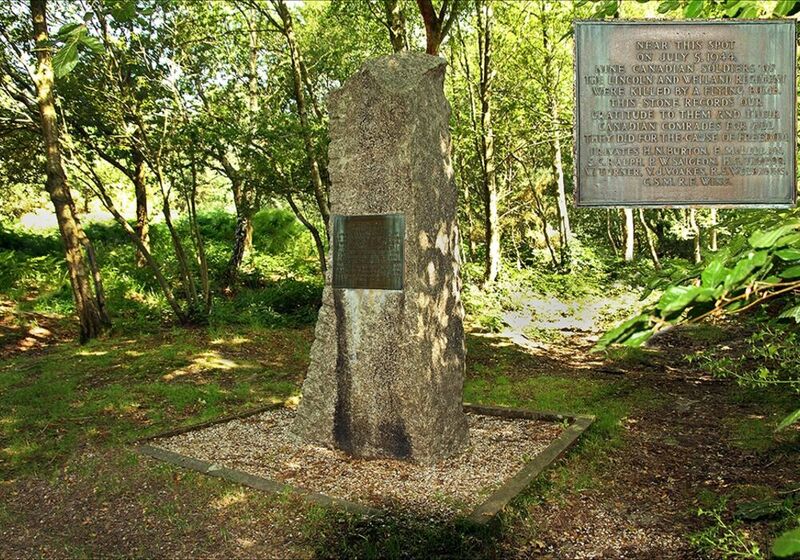 The Memorial to the left of the 4th fairway commemorates the soldier’s ultimate sacrifice and was unveiled on the 19th July 1948 by Sir James Grigg, the former War Secretary. 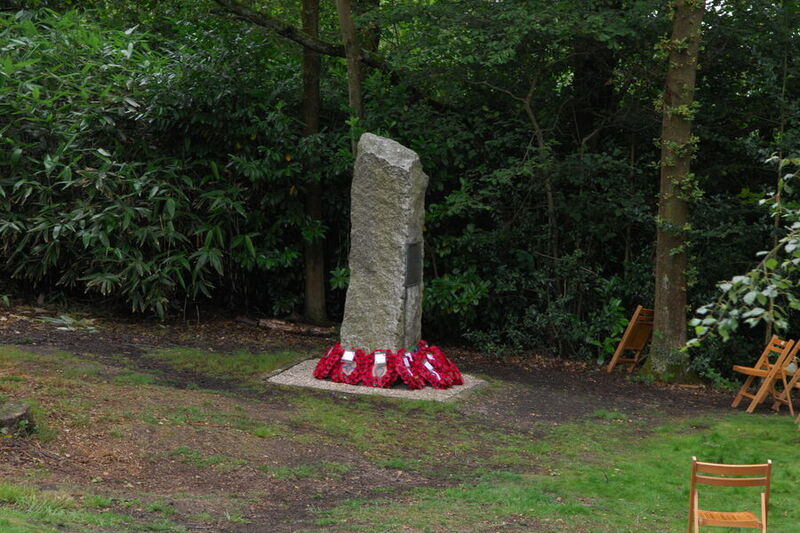 The area known as ‘Canada Green’ near Church Green, Crowborough also commemorates the part played by the Canadian soldiers. 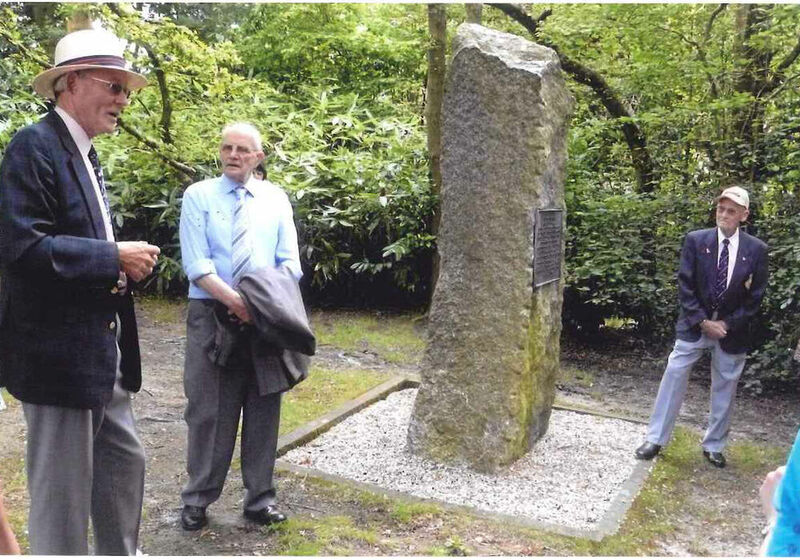 A few years ago (2005 appx) there was some discussion as to whether the Memorial should be re-sited to be more accessible to visiting Canadians but Bill Smith and his Wife were adamant that the present location was more appropriate and truly reflective of where the incident occurred. 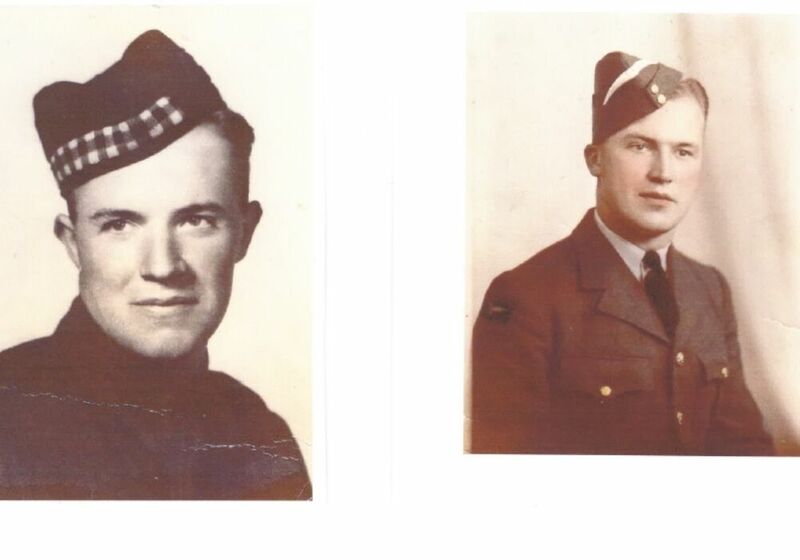 Col Greer and his Wife came over from Canada to assess the situation and to discuss the matter with the Golf Club’s Chairman at the time, Graham Midmer. This meeting lead to the establishment of a personal relationship. 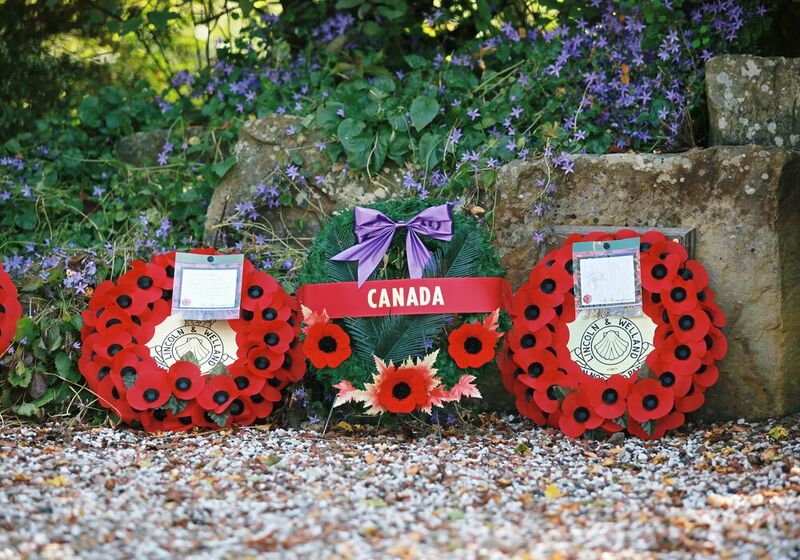 Each year there is a Memorial Service at Canada Green followed by the laying of a wreath at the Memorial. 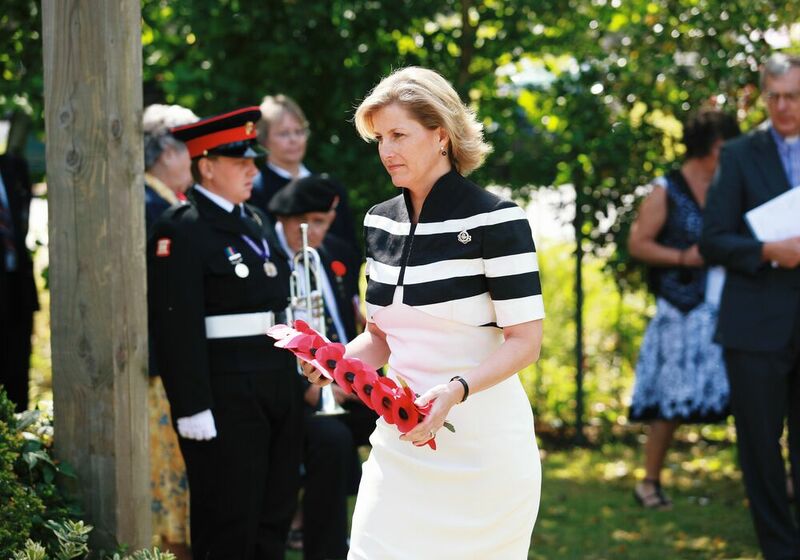 On 5th July 2009 a special 65th Memorial Service was held at Canada Green in the presence of the Regiments Honorary Colonel in Chief, Her Royal Highness, the Countess of Wessex. 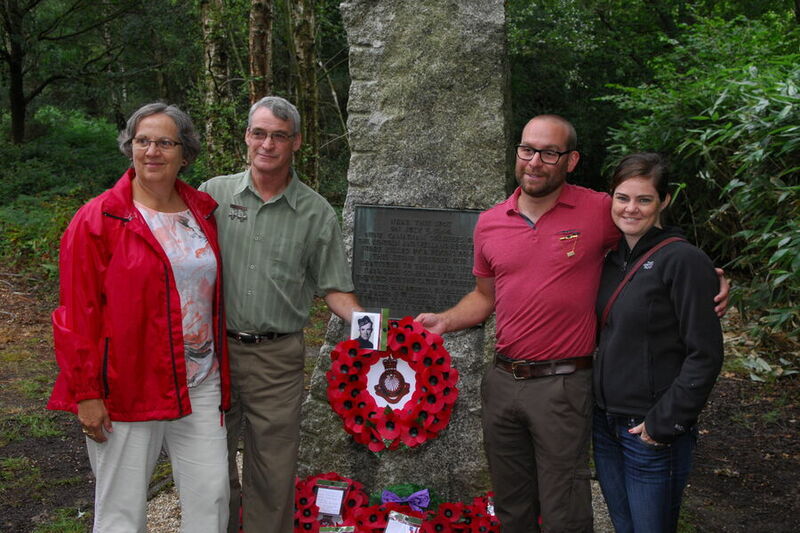 (The Greer’s have been friends of the Rhys-Jones family for many years following a time spent in Kent.) 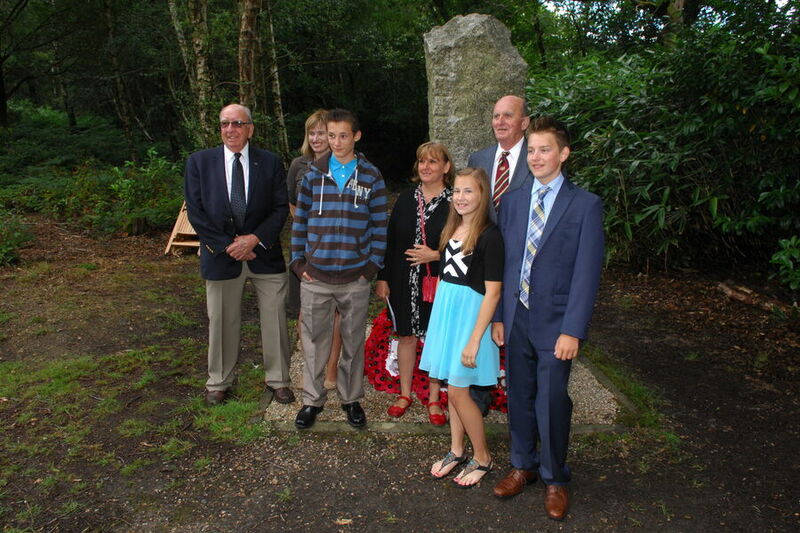 The Memorial Service was attended by the Club Captain Trevor Newman and Graham Midmer and his Wife. 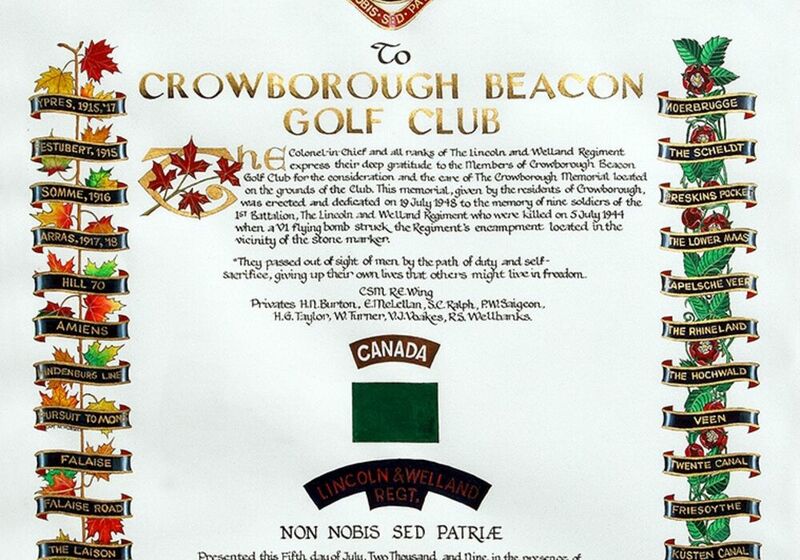 At a reception afterwards, in the presence of The Countess, an illuminated scroll was presented to the Golf Club by way of a thank you for the Club’s involvement over the last 65 years. 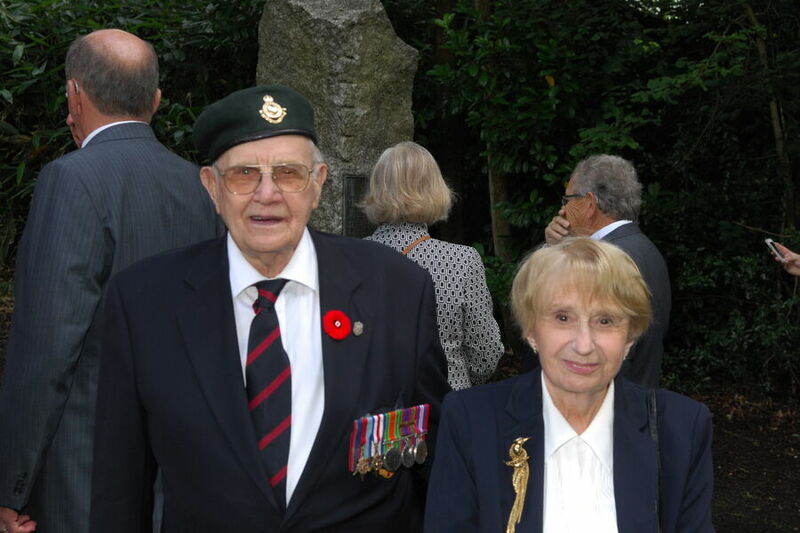 Graham Midmer and his Wife have since visited Don and Diana Greer twice in Canada attending in 2012 the 200th celebrations of the Regiments battle with the USA at which a new Colour was Trooped. 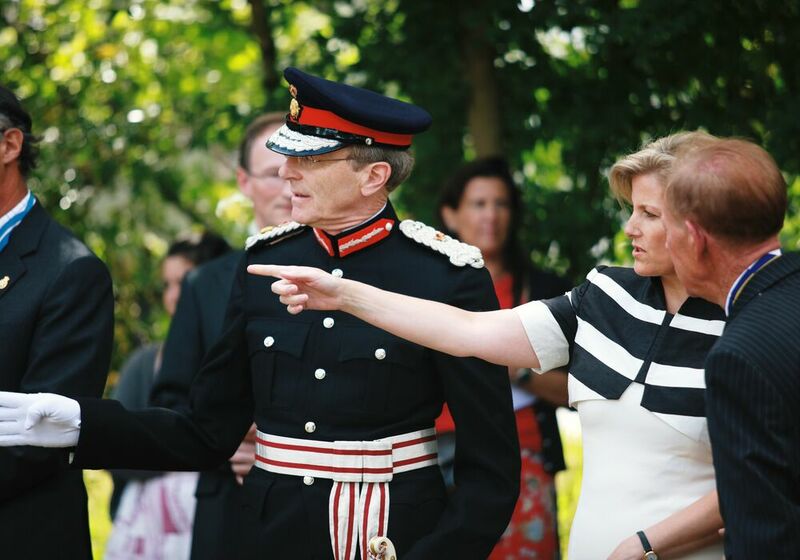 They had the pleasure at a reception afterwards of being presented to the Countess of Wessex and her father. 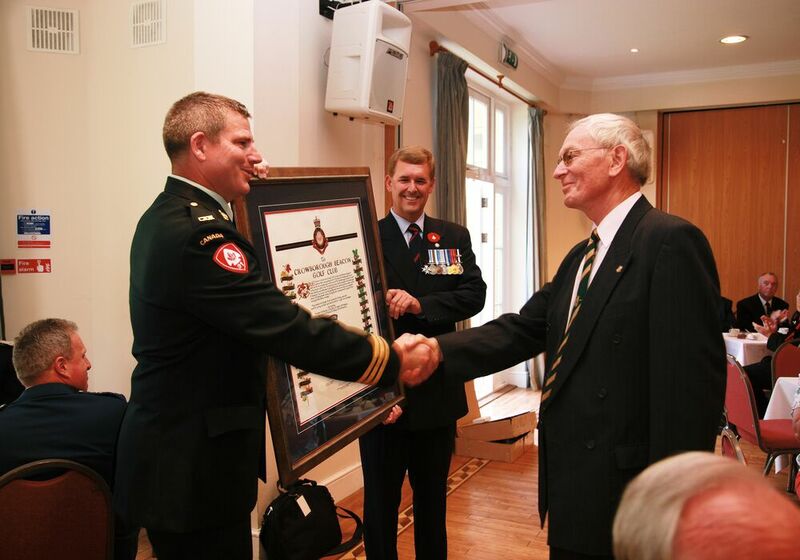 At the reception Graham was presented with an illuminated scroll appointing him a Member of the Honourable Company of the Regiment. 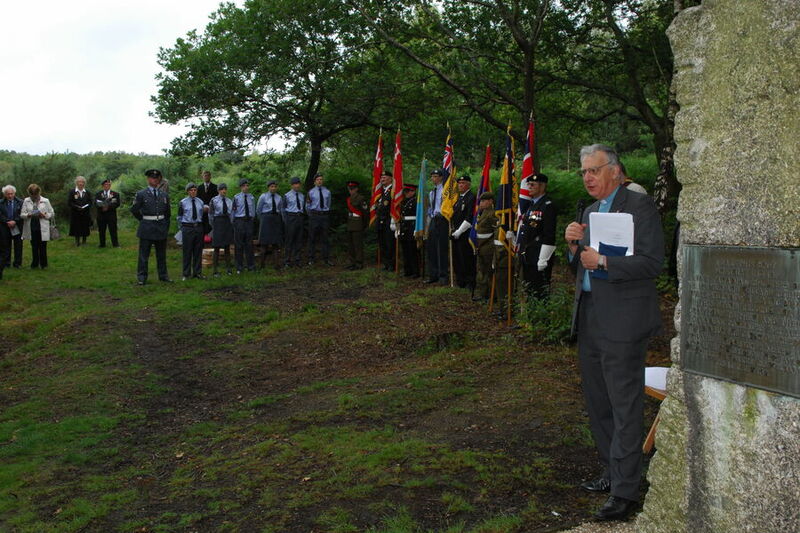 It is hoped that the 70th Anniversary will be similarly remembered in 2014. 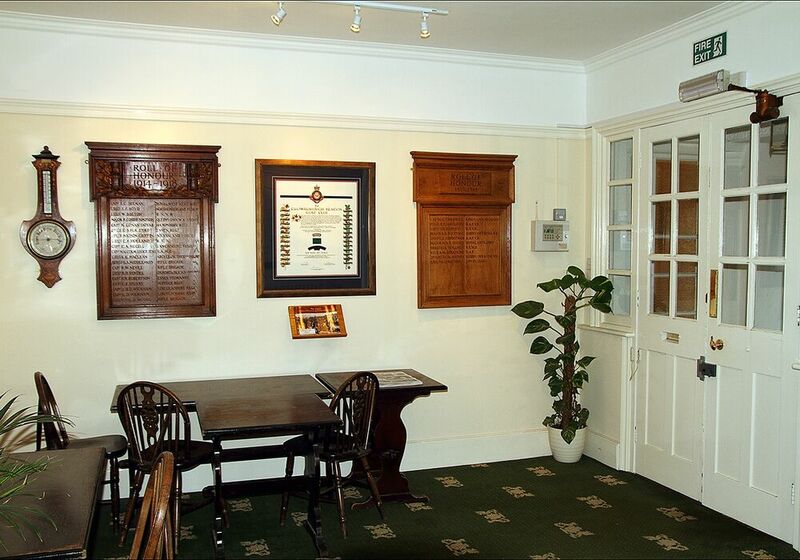 For more information see the booklet on the Regiment’s history in the golf club’s entrance hall underneath the illuminated scroll.